I will stick with the core basics here, which is probably repeative, but for the next 8 more days I have prompts every day that I realize disclose a bit much. 1. 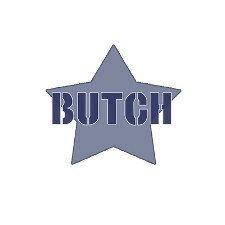 I’m a 52 yr old Stone Butch who walks a thin line between gender identities. Being seen with me is to be seen; there is no invisibility cloak when one is on my arm. 2. I was born a Marine Corps brat and was raised here in southern Maine where my family is 17 generations deep. As a result of this I love Maine, and although I have tried to leave a few times in my 50+ years I always seem to boomerang right back here. There’s just something about this land that stirs my spirit and keeps me here. 3. My favorite vehicle I ever owned was a 1973 Dodge Dart muscle car. I wish I still had her today! 4. Given the choice I would rather stay home and have a bonfire than be out on the town. 5. I live my life by the Unwritten Rules. I don’t hold many stereotypical values, as I always try to go above and beyond what’s expected – or to be completely authentic to my own vision of my Stone Butch self. I don’t run with the crowd well, I tend to create my own roads. 6. My most comfortable clothing of choice is jeans, a button down and my work boots. 7. I still have my original teddy bear that I got when I was born. I love that damned thing. 8. I believe in things happening for a reason. Nothing happens by chance. We are given a predesignated predetermined plan and even though we do not know the plan we execute it flawlessly. This means every individuals experiences are unique to them and thus make up the constitution of that person. 9. I believe I have had TWO “once in a lifetime” dogs…Jock (rip) and Nola. The dogs were different, the loves were different, but the concept is still the same.